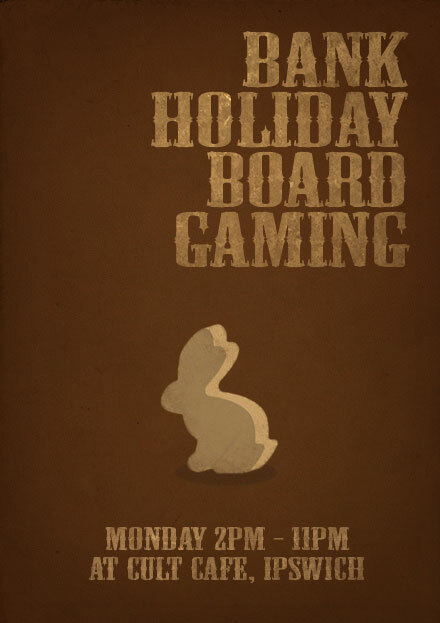 In celebration of the fact that we don't have work we'll be board gaming from 2pm this Monday. It's just like the usual 7:30 start except 5 and a half hours earlier. If you can't make it that early or just don't want to then you can come down at 7:30 as usual and we'll all still be there. Or feel free to turn up and time in between. There's a Facebook event so make sure you join and share with all your best pals!